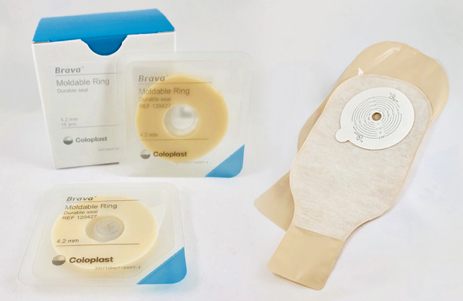 Ostomy Pouching Systems provide a means for the collection of waste from a surgically diverted biological system (colon, ileum, bladder) and the creation of a stoma most commonly associated with colostomies, ileostomies, and urostomies. 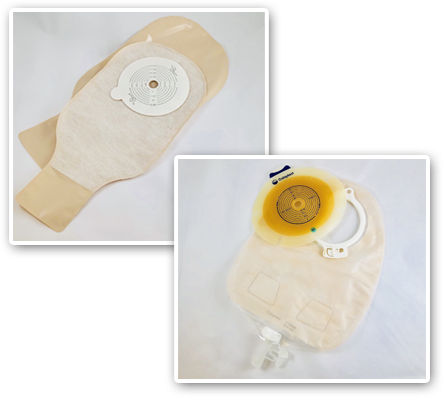 Ostomy pouching systems collect waste that is output from a stoma. 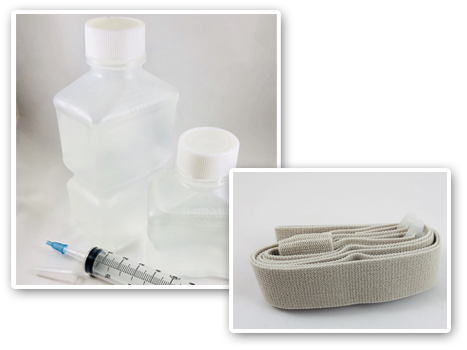 The pouching system allows the stoma to drain into a sealed collection pouch, while protecting the surrounding skin. The selection of systems varies greatly between individuals and is often based on personal preference and lifestyle. Not sure what product is right for you? Call today for your personalized consultation. The collection pouch and the adhesive baseplate (flange) are connected as one. Open-end pouches have a resalable end that can be opened to drain the contents of the pouch into a toilet. The end is sealed with either a Velcro-type closure or a simple clip. Is completely sealed and clip-less. It is intended to be removed and disposed, or emptied and rinsed once the pouch is full.